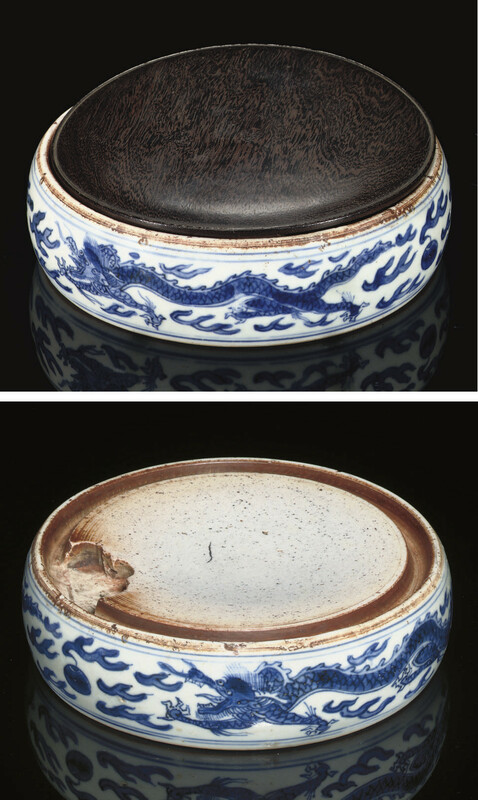 of cylindrical form, painted to the sides with twin dragons in-flight amongst thunderbolts and chasing flaming pearls, the concave ink palette to the top surrounded by a ringed depression with lobed water trough to one side, underglaze blue mark to base reading 'Yu tang jia qi' (Beautiful vessel of the Jade Hall) -- 7in. (17.7cm.) wide.